White water rafting along the wild and scenic Rogue River in Southern Oregon. Photo by Justin Bailie. 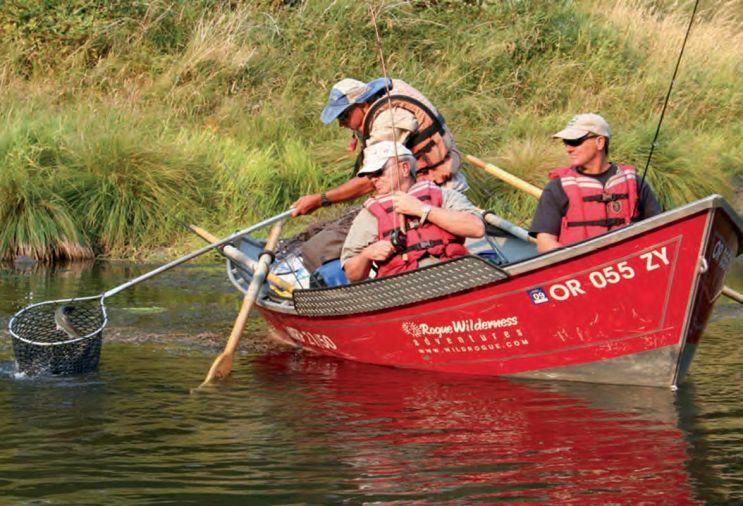 Rogue Wilderness Adventures offers many options for guided drift boat fishing trips on the Rogue River. Popular catches include the coveted Chinook Salmon, Steelhead and Coho Salmon. O.A.R.S. scenic raft trip through Stair Creek Falls. 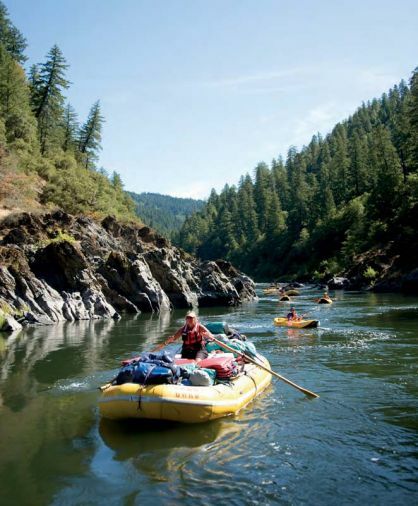 O.A.R.S also offers Wilderness Gourmet, Wine on the River, Craft Beer Tasting and lodge-based adventures on the Rogue River. RoxyAnn’s picturesque vineyard, producer of top-scoring Viognier (pictured) made from estate vines. Wine is as much about people as it is grapes and soil. 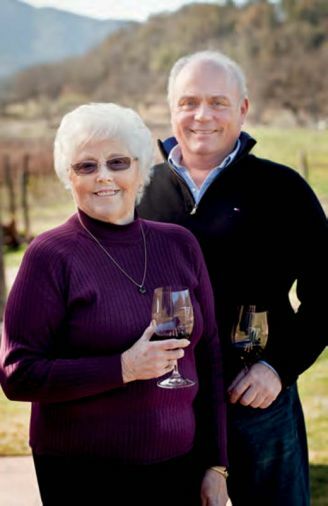 Dorothy Garvin and son Roy help manage Cliff Creek Cellars. 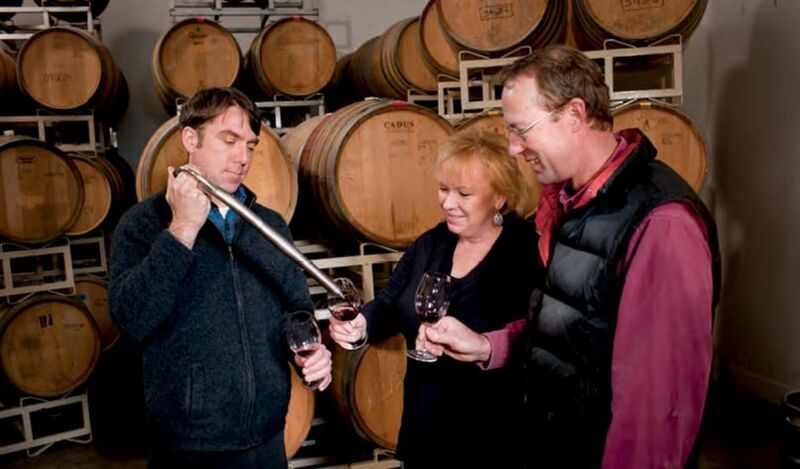 At Agate Ridge Winery owner Kim Kinderman and vineyard manager Jon Meadors get a barrel sample from winemaker Brian Denner. Matthew Sorensen divides his winemaking skills between LongSword Vineyard and Flying High Vineyard. 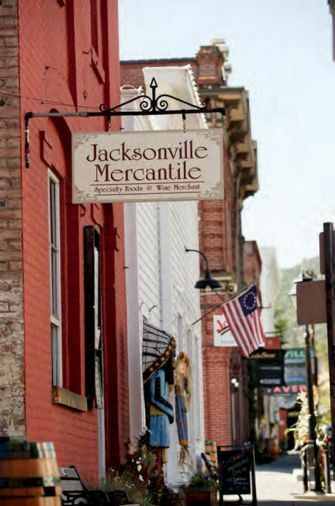 Jacksonville Mercantile is a must for foodies in search of the many acclaimed cheeses, meats and chocolates produced in the region. 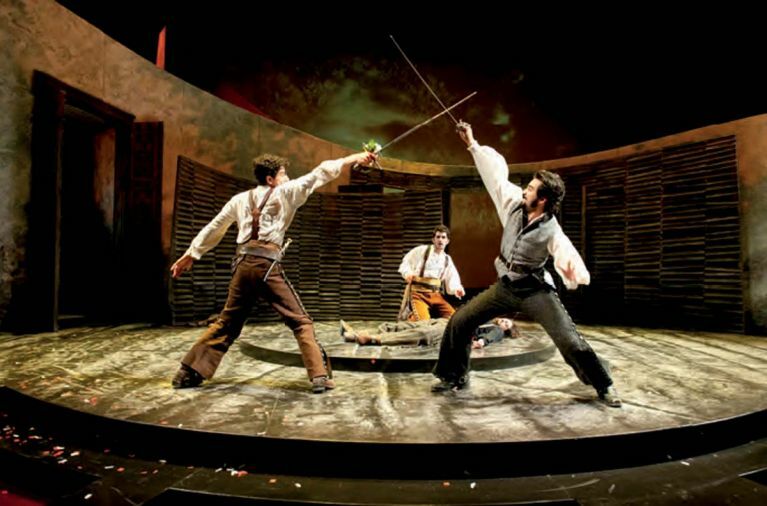 Romeo (Daniel José Molina) and Tybalt (Fajer Al-Kaisi) fight for the honor of their families as Benvolio (Kevin Fugaro) watches over the fallen Mercutio (Jason Rojas) in Romeo and Juliet, part of Oregon Shakespeare Festival’s live theatre lineup. 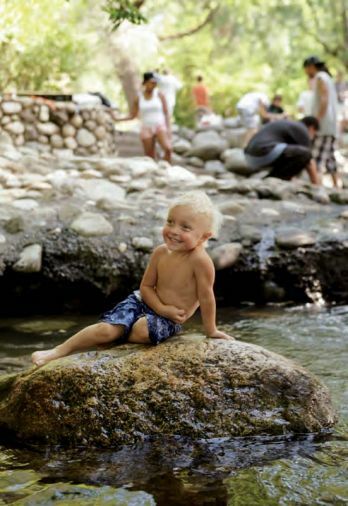 Ashland Creek is a huge draw for all ages, year round, rolling through the 93-acre Lithia Park. Visitors can enjoy picnics, duck ponds, miles of hiking trails, and ice skating in the winter. Exploring Ashland’s many quaint shops filled with originals sourced from international and local artists is a passion for shoppers. 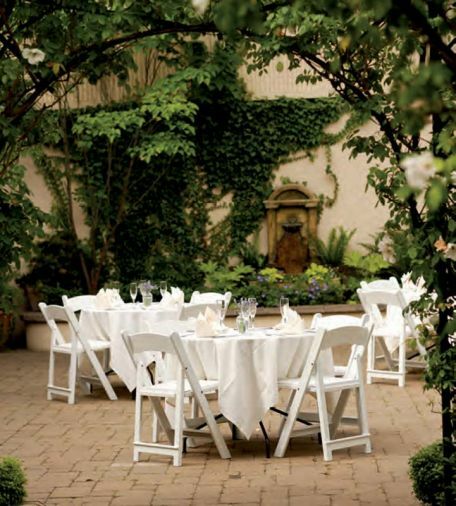 The lush garden courtyard at Lark’s Restaurant is a popular respite for leisurely dining with friends. Written by Kim Cooper Findling and Cole Danehower. Photography by John Valls. Southern Oregon is often called the banana belt of Oregon. While bananas don’t actually grow here, the region earns the moniker honestly. The Rogue Valley and surrounds are known for balmy weather, sunny skies and lush forests. Spring comes a bit earlier here than to other parts of the state and arrives with an explosion of rich green foliage and flowers galore. Indian summers linger into October, bringing gorgeous fall foliage. But to think Southern Oregon charms end with the weather would be a mistake. 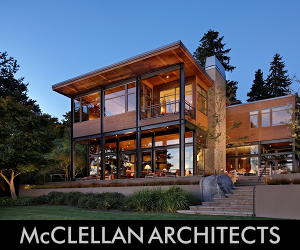 The towns of Jacksonville, Ashland and Medford are a hotbed of culture, arts, history, wine and artisan foods, from the world-renowned Oregon Shakespeare Festival to the award-winning Rogue Creamery, to the history of Jacksonville to the stunning beauty of Crater Lake. The entire region is an ideal getaway in so many ways. There’s much more than could be accomplished in one weekend here—but you’ll have fun trying. Wine alone is a great reason to visit southern Oregon. Brilliantly sunny and dry summers and cold, but not bitter, winters make an ideal climate for growing an unusually wide range of grape varieties—in fact, Oregon’s first wine grapes, including our famous Pinot Noir, were planted in southern Oregon. With top scores from national wine critics like the Wine Spectator and the Wine Enthusiast, southern Oregon offers fantastic wine discoveries, from classic favorites Cabernet Sauvignon, Merlot, Syrah, and Chardonnay, to trendy newcomers like Tempranillo, Viognier, and Vermentino. Southern Oregon’s over 60 artisan wineries congregate in five official appellations, making touring easy. These family-owned wineries craft limited-edition wines usually only obtainable at the winery itself (so bring a cooler). Add to this the area’s agricultural riches and artisan food crafters and you have multiple mouthwatering reasons to visit. 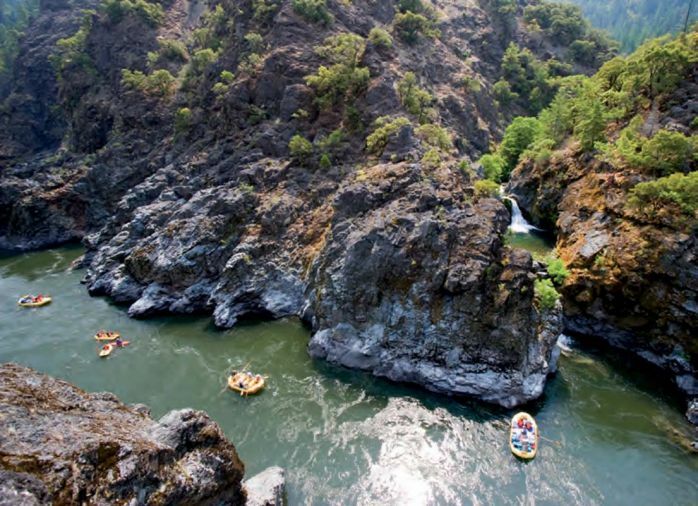 The city of Medford and surrounds live and breathe the nationally designated Wild and Scenic Rogue River, famous for recreational opportunities and rugged natural beauty. A 40-mile trail runs along the river on the west side of I-5—hundreds of backpackers take advantage of this unique and beautiful opportunity each year. For those not inclined towards such an effort-filled adventure, don’t worry, you can still experience the volcanic cliffs and lush forested mountains of the Rogue Valley. 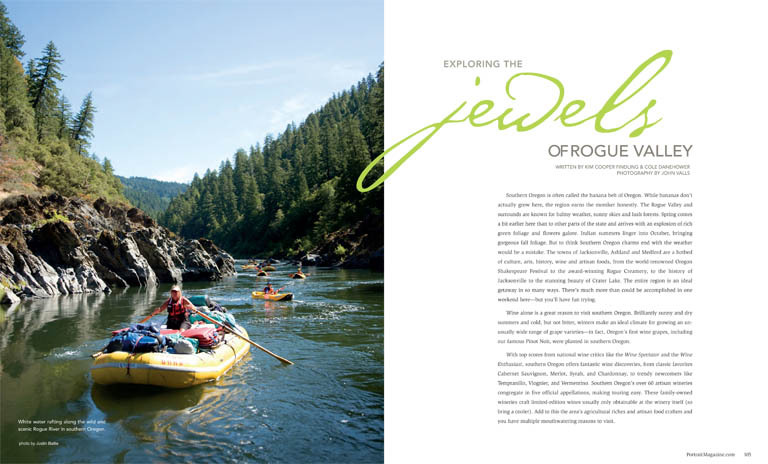 Many guide services take folks down the river in rafts and jet boats each year, both east and west of Medford and Grants Pass, to fish, play and sightsee. 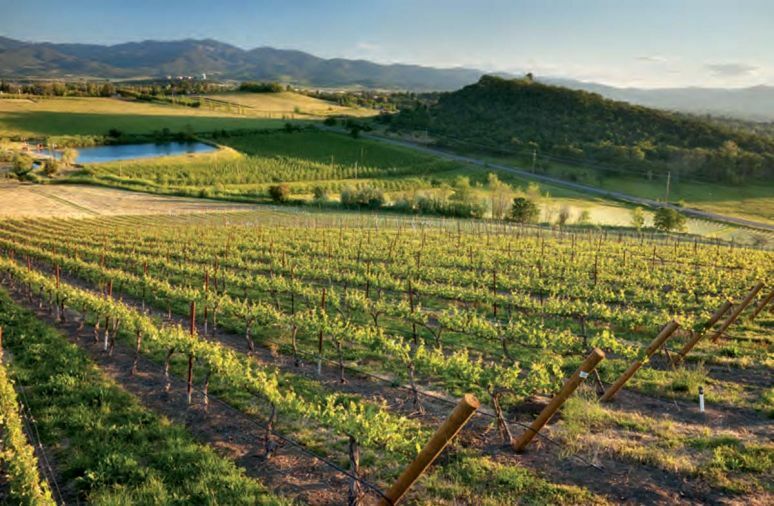 The Rogue Valley is home to many other pleasures, as well, including dozens of wineries, great weather, beautiful scenery and the Pear Blossom Festival in April. Downtown Medford’s Old Town Dining and Entertainment District is undergoing a bit of a renaissance. Restored buildings house art galleries, bookstores, coffeehouses, boutiques and antiques, as well as dining and entertainment. The restored Craterian Ginger Rogers Theater (www.craterian.org) is a hotspot, offering many styles of performing arts in a cool old building built in 1924. The name Craterian was chosen from a blending of the local geographical feature Crater Lake and a popular movie house of the era, Criterion. Taste fresh local produce and gather arty crafts at the Rogue Valley Growers and Crafters Market (www. rvgrowersmarket.com), or tour Harry and David (www.harryanddavid.com), the largest gourmet mail-order company in the world, founded right in Medford. Downtown is fun, but could be said that the Rogue Valley’s finest features are found in the hillsides surrounding its cities. Rogue River Journeys (www.roguerivertrips.com) and the Rogue Canyon Adventures (www.roguecanyon.com) both offer multi-day adventures on the river by kayak or raft, and Jerry’s Rogue Jets (www.roguejets.com) offers more high-speed versions of river tours by jet boat. The river canyon is rich in history, with old cabins, mines, and long-deserted Indian settlements ready for exploration. Outside of Grants Pass on the Rogue River is Wildlife Images Wildlife Rehab Center (www.wildlifeimages.com), which provides care and treatment for sick, injured and orphaned wildlife as well as educational programs to the public. Visitors can see everything from badgers to American bald eagles on site. Complement your wine with award-winning artisan chocolates from Lillie Belle Farms (www.lilliebellefarms.com) in Central Point, where two acres of organic raspberries, strawberries, and marionberries are grown to fill delicious fruit filled bon bons and truffles. Lillie Belle uses almost all organic ingredients and produces amazing chocolate using European techniques with their own local touch. Founded in 1935 by Italian Thomas Vella is the Rogue Creamery (www.roguecreamery. com), which today produces award-winning blue and cheddar cheeses renowned world-wide. Visit their shop in Central Point or look for their cheeses on local menus and at area farmers markets. Care to eat a fine dinner in an old brick railroad station? Located in Medford, Porters Train Station Restaurant (www.porterstrainstation. com) is your destination. Steaks and seafood are served in this historic building, which still boasts original windows, red roof tiles and granite corbels, and a ticket counter-turned-bar. 38 Central Restaurant (www.38central.net) is another locals’ favorite, serving American cuisine with an emphasis on gourmet comfort food for lunch, dinner and Sunday brunch. Stay overnight on the beautiful Rogue River at The Lodge at Riverside (www.thelodgeatriverside.com) outside of Grants Pass, which is done up in plush western style and boasts a swimming pool overlooking the river, where you’ll likely see geese and ducks. The Rogue and Applegate Valleys (which are each official American Viticultural Areas, or wine appellations) give wine lovers two compelling reasons to visit: choice and charm. From mountain valleys to river hillsides, the dazzling scenery is peppered with verdant vineyards and family-run wineries. More grape varieties thrive here than in the cooler, though better-known, Willamette Valley, so visitors will discover a wider range of wine styles to love—from Albariño to Zinfandel and everything in between. That, plus the charming rural independence of southern Oregon winemakers (usually it is the winemaker and their families that greet you in the tasting room) means you’ll have an exceptional experience exploring this rapidly up-and-coming wine region. Here are four local gems you should not miss. Starting your wine tour at RoxyAnn Winery’s (www.roxyann.com) tasting room in Medford is a quintessential southern Oregon experience. Built in 1900 and on the National Register of Historic Places, the wood-beamed, plank-floored Honor Barn embodies the region’s wine culture. Winemaker John Quinones farms their 75 acre vineyard with nearly fanatical focus to get the finest fruit for their acclaimed Claret, a tasty fusion of Cabernets Sauvignon and Franc, Merlot, and Malbec. RoxyAnn also makes a juicy Syrah, toasty Merlot, and plummy Tempranillo. But great wineries do not live by red alone. RoxyAnn’s Viognier just scored 92 points in the national wine press. 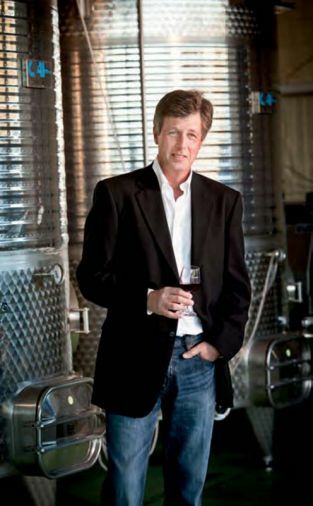 You can always tell a successful winery owner: they smile constantly. By that measure Kim Kinderman and her winemaker Brian Denner are clearly in the clover thanks to the success of Agate Ridge Vineyard (www.agateridgevineyard.com), just north of Medford. The winery began in 2002 with the hand-planting of 15,000 grape vines, and today they grow 30-acres of premium grapes with an emphasis on Rhône varieties (Syrah, Viognier, Grenache, Roussanne, Marsanne). These special wines are hard to find outside the region, and are best sampled at their tasting room inside an historic farmhouse, with close-up views of vines and vistas of Mount McLaughlin and Table Rock. Especially taste their gorgeous Grenache and mouthwatering Sémillion-Sauvignon Blanc blend—rare wines to savor. Just to the west, the Garvin family has been farming in Oregon for over a hundred years, but it was only in 1999 that family scion Vern Garvin began planting grapes at what is now their 70-acre Sam’s Valley Vineyard. Using the expertise of celebrated winemaker Joe Dobbes and relying on the distinctive qualities of their vineyard land— that includes a layer of volcanic ash from Crater Lake’s ancient Mt. Mazama—multiple members of the Garvin family have built Cliff Creek Cellars (www.cliffcreek.com) into a regional powerhouse. Known for their multi-award winning Syrah and Claret wines, visitors to their Gold Hill tasting room can also enjoy superb Merlot, Cabernets Sauvignon & Franc, and a Marsanne Roussanne white blend to die for. The family’s love shows in every sip. Further north you’ll discover that 1+1 equals more than 2. Fly High Vineyard (www.fhlv.net) was the retirement project of Sandra and David King, but when David passed away in 2004, the vineyard’s future was up in the air. Their neighbors Matthew Sorensen and Maria Largaespada were already making wine from their own LongSword Vineyard (www.fhlv.net) in the Applegate Valley, so it seemed natural to combine forces. Using the acronym FHLV (Flying High/ LongSword Vineyard), each brand shares Sorensen as winemaker, a tasting room at LongSword and the winery at Fly High. Visitors can taste LongSword’s unique Chardonnay stylings (un-oaked, semi-sparkling, dessert) next to Fly High’s Viognier and Pinot Gris. Or, compare Fly High’s trendy Tempranillo with LongSword’s succulent Syrah to see which red appeals. Like all of southern Oregon wine country, this unique partnership is really taking off. The ROGUE VALLEY WINE TRAIL goes from just above Gold Hill down to Ashland, taking in a larger and more diverse geography. A day trip takes you to such interesting wine venues as Agate Ridge, Cliff Creek, Del Rio Vineyards, Eden Vale Winery, Roxy Ann, and Trium. 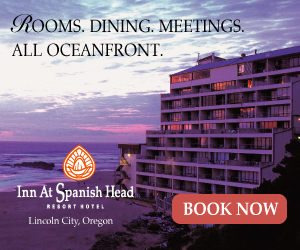 For more information visit www.oregonwine. org/Explore_Wine_Regions . Jacksonville is one of the oldest towns in the State of Oregon. The beautiful hamlet was established in 1851 during the gold rush, and parts of it today retain that early settler’s charm. Early pioneers built lovely homes, many of which still stand. City leaders have worked to preserve and protect the historic brick and plank storefronts of downtown, and over 100 buildings in Jacksonville that house shops, restaurants, and hotels are on the National Register of Historic Places. The town itself became a National Historic Landmark in 1961. Visitors enjoy all of this historic charm as well as Britt Festivals, a fabulous music festival that runs every year. Nearby, dozens of wineries have come to dot the countryside in the last two decades, making this region a true destination for wine aficionados. Board the Historic Jacksonville Trolley (www.jacksonvilleoregon.org) to get a sense of Jacksonville’s history with a rolling tour of the town, and see why Jacksonville has been the location for many western films. A walking tour is an excellent idea, too, especially so you can take in Jacksonville’s wide variety of boutique shops. Search for fair trade, eco-friendly gifts and handcrafts from all over the world at Pico’s Worldwide Market (www.picosworldwide.com), which provides a fun array of clothing, jewelry, handbags, hats, and items for the garden, bath and body. As you wander, visit a few of the downtown wine tasting shops Jacksonville shelters, including South Sage Cellars, Quady North Tasting Room and Caprice Vineyards. Each of these offers tasty nibbles to complement the wine, but make no mistake that the grape is the focus at these quaint establishments. If your visit falls during summer or fall, don’t miss the chance to see a live music show at Britt Festivals (www.brittfest.org) which draws thousands annually to see a wide range of musical genres including rock, folk, jazz, classical, country and more in a gorgeous natural amphitheater with views of the lush surrounding hillsides. 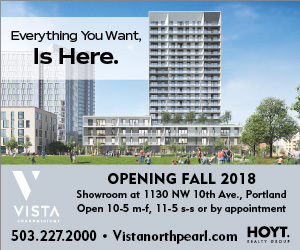 Britt, which celebrates its 50th anniversary this year, was named for early Jacksonville magnate Peter Britt, a Swiss landscape and portrait painter who arrived in Jacksonville in 1852 looking for gold but instead established the first photography studio in Oregon. Visit the grounds of his home, which was destroyed by fire in 1960, but on the site of which maze gardens have been turned into a city park. The Britt grounds are also an excellent place from which to access the Jacksonville Woodlands Trail System (www.jvwoodlands.org), which provides miles of trails that wind along Jackson Creek and above town through groves of madrone and cedar. You are likely to spot some wildlife, including deer, raccoon, fox, coyote and birds of prey, and a wildflower guide is available to compliment your hike in the spring. 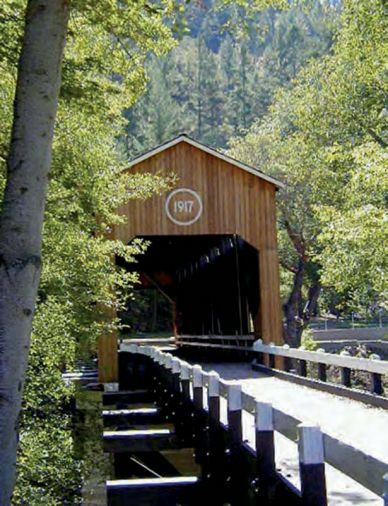 From Jacksonville, take a short road trip west of town to the Applegate Valley, which in addition to offering drop-dead gorgeous scenery including the McKee Bridge, one of Oregon's historic covered bridges, is also home to a number of award-winning family owned wineries. The Trail holds a signature wine and food event twice a year called Applegate Valley UnCorked (www.applegatewinetrail.com). A saloon back in the day and remains famous for its swinging entry doors, lively atmosphere. Glimpse one of the oldest landmarks in the state, established circa 1852 as the Tablerock Billiard and Saloon. Listed on the national historic registry, built during the gold rush. Jacksonville craftsman style bed and breakfast inn built by Judge Frank TouVelle as a wedding present for his wife Elizabeth in 1916. As the southernmost Southern Oregon city, Ashland puts the banana in banana belt. With a wide boulevard and square at the center of the community to serve as friendly gathering places, historical architecture everywhere, lush gardens including many in the wonderful Lithia Park, outrageous dining options, the culture and smarts of Southern Oregon University, and arguably the world’s most famous Shakespeare Festival, it’s no wonder Ashland has been named one of America's great small towns more than once. 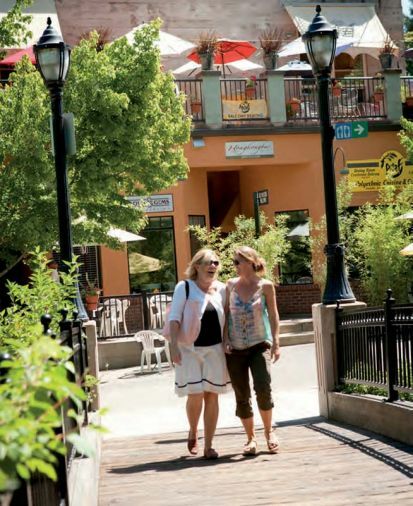 Thousands make Ashland a destination each year for the romance, inspiration and fabulous vacation fun the city provides. Begin your Ashland adventure, if you have time and the weather abides, at Lithia Park. Established in 1908, Lithia Park is 93 acres of bountiful gardens and wandering paths nestled right in town. See duck ponds, the bubbling Ashland Creek, incredible botanical diversity, trails that reach clear up into the forested canyon lands above the city, and even a swimming hole. Don’t miss the sycamore grove, which is as mystical and serene as it is beautiful. Walk back toward town and you’ll encounter the Lithia Artisans Market (www.lithiaartisansmarket.org) and outdoor shopping in a festive environment with often even live music. 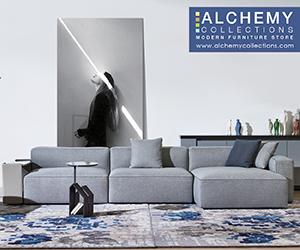 Its no wonder all of the natural beauty and culture of Southern Oregon inspires artists, and Ashland is home to 25 art galleries, including fun stop Ashland Art Works (www.ashlandartworks. com), which offers a diversity of arts and crafts, and working glass studio Gathering Glass (www.gatheringglass.com), in the up-and-coming Railroad District, where you can see works of glass art in hot molten progress. Nearby is the new incarnation of Rare Earth, which anchored the Ashland Square for years and still provides a fun, eclectic mix of specialty items and music. Downtown, fuel up with pastries and sweets to power your day at Mix Sweet Shoppe, and get your book on at Bloomsbury Books (www.bloomsburyashland.com), a wonderfully authentic book shop. A visitor would be remiss to leave town without attending a performance of the Oregon Shakespeare Festival (www.osfashland. org). Founded in 1935, the Festival has been Ashland’s preeminent experience since. Despite its name, OSF isn’t all about the Bard, though if you love iambic pentameter there are plenty of plays in that vein to strike your fancy. The Elizabethan stage provides the stellar-most experience—literally, as it’s outdoors and its plays happen under the stars. This summer, “Henry V” will play there. But with three stages, Tony Award winning OSF presents something for everyone, including classic and contemporary drama and comedy. All that nature and culture got you hungry? Drop in at the Black Sheep Pub and Restaurant (www.theblacksheep.com), a traditional English pub on the Ashland Square that serves honest Imperial pints and has a red British telephone box on the premises. Standing Stone Brew Pub (www. standingstonebrewing.com) is another great casual-fare destination, known for their great microbrews as well as a commitment to sustainability that extends from their food to their business practices. Fine dining aficionados should be sure to visit Amuse (www.amuserestaurant.com), known for its elegant and contemporary atmosphere and Northwest/French menu featuring organic, seasonal meat and produce. Bon apetit! Ashland is home to many lovely lodgings, from bed and breakfasts to lavish hotels. The Winchester Inn and Restaurant (www.winchesterinn.com) is located in the heart of downtown and offers luxury lodging, a two-course complimentary breakfast, and fine dining made from organic ingredients from local Oregon and Rogue Valley farms, ranches, and fisheries. In the summer, enjoy the Winchester’s beautiful white-trellised patio. Also downtown is the Ashland Springs Hotel (www.ashlandspringshotel.com), which not so long ago underwent a complete restoration that transformed the place into a top notch and utterly lovely lodging reminiscent of small European hotels. On site is the restaurant Larks, a local’s favorite with a bright and cheerful interior and fabulous menu. Every March, Ashland Springs hosts the The Chocolate Festival, a weeklong celebration of Oregon’s chocolatiers and their delicious products. If all of that isn’t enough to relax your mind and soul, check out Waterstone Spa and Salon (www.waterstonespa.com), also at the Hotel, which will inspire and energize you with luxury, natural products and treatments.